Did you know the Engaged space is used for all different kinds of events? We’ve featured several over the past couple of blog posts from unicorn parties to 21st birthday celebrations. 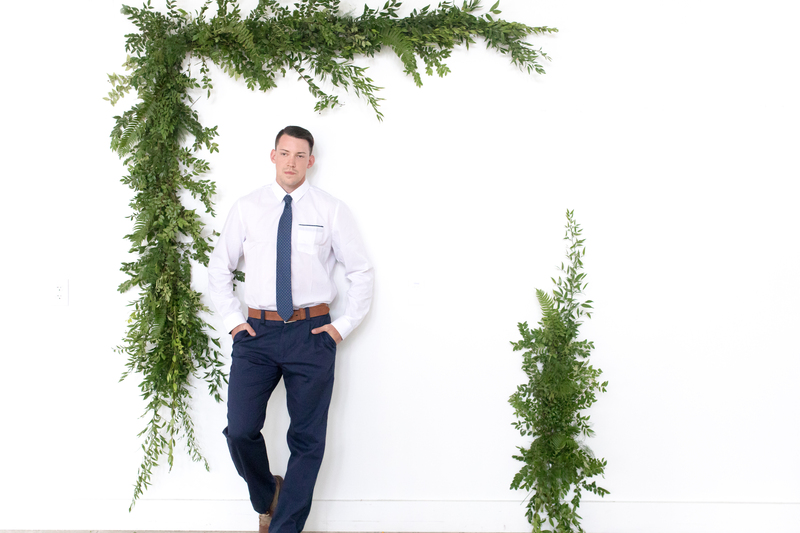 This week we’re giving you a quick glimpse of an elopement style wedding ceremony! The Engaged team is busy working out the details for a new Elopement Package offering. 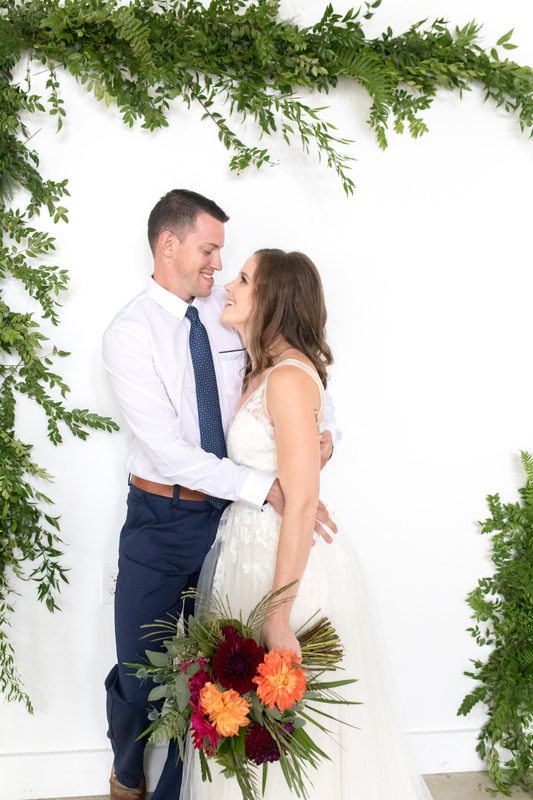 When two dear friends of mine, Morgan & Nathan Grigsby, reached out about wanting anniversary photos made, I instantly knew they’d be the perfect fit for our Elopement Styled Shoot! 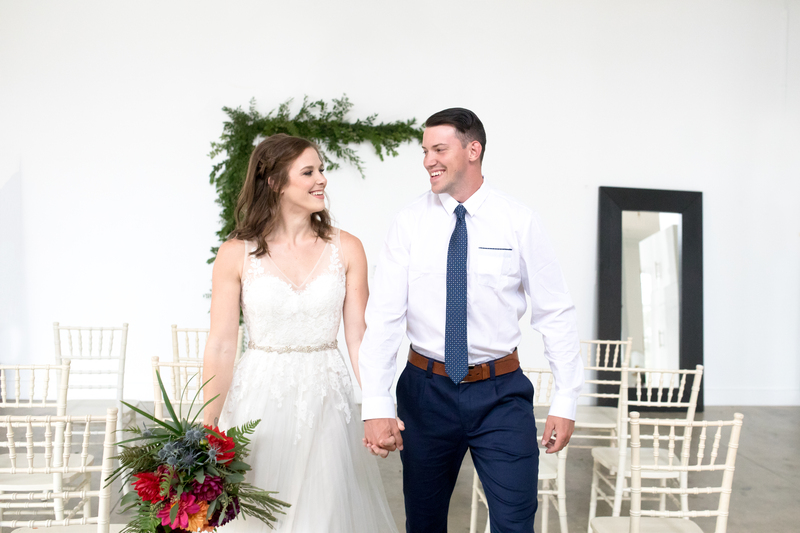 They were married last July at the local Mount Airy Farm Estate west of Asheville, and the ceremony was perfectly casual, matching their true laid-back personalities. 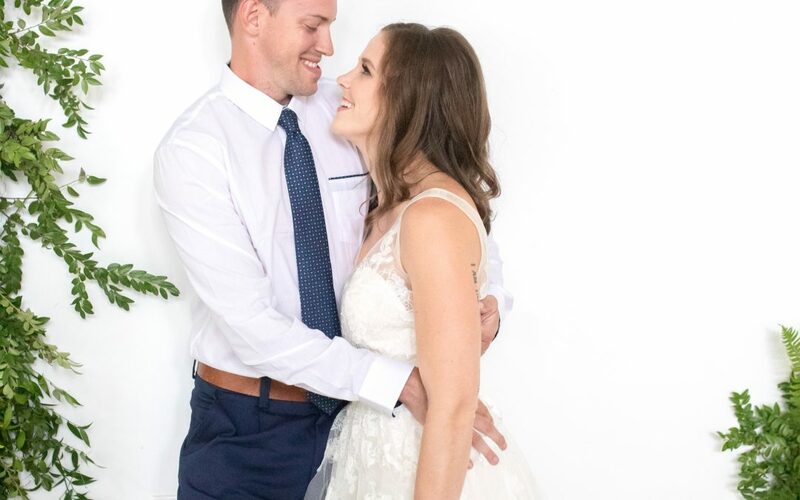 Morgan often talked about loving her wedding dress and after a recent photo shoot with fellow CrossFit gym member Cat Ford-Coates, we laughed about playing ‘dress-up’ more often [every girls daydream am I right?!] ! 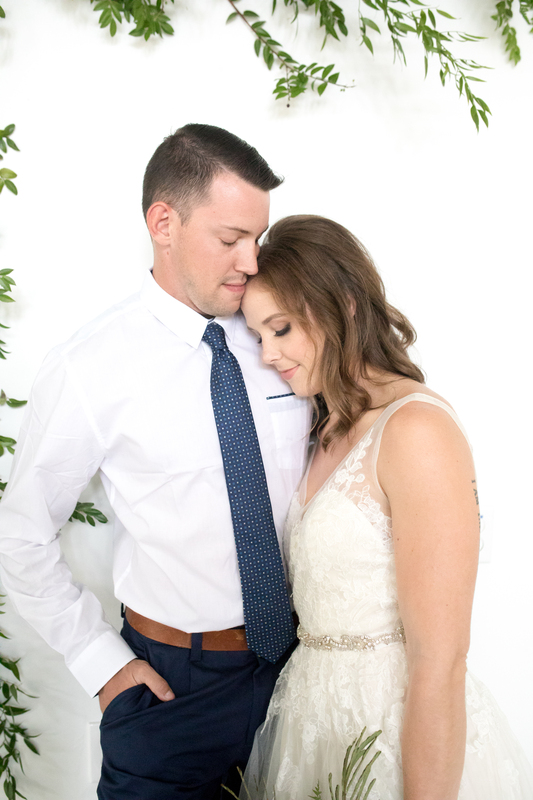 So, why not let Morgan play dress-up again, have their anniversary photos taken, and get the practice, details and styled photos we needed for the Elopement package all in one?? Yes. Please. After quickly chatting with Kathy, fellow creative team member and owner of Kathy Beaver Photography, the plan was in motion! 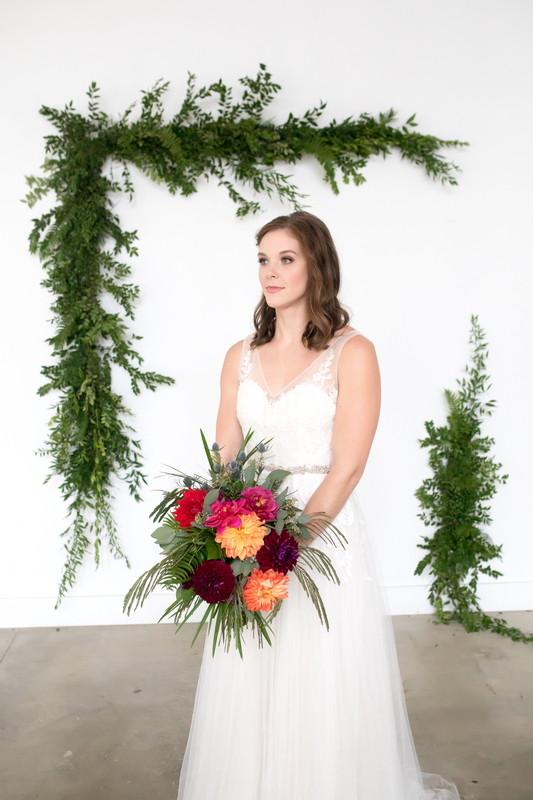 Morgan got her hair and makeup done in our beautiful Engaged space by our friends at Flawless, and Kathy, with the help of Pam from Pam’s Pink Peony, set up this beautiful greenery ‘alter’ for center stage. Mingle Events and Rentals provided the chairs and contributed to the overall event design! With simple details and deep earthy tones, this event brought a bolder side to the space usually described as light and airy. We adore the way the white walls and easily transitioned furniture items can be used for any vision! Nathan joined Morgan at Engaged where Kathy was able to photograph the couple using the Elopement setup before heading out to Max Patch for their anniversary shoot! 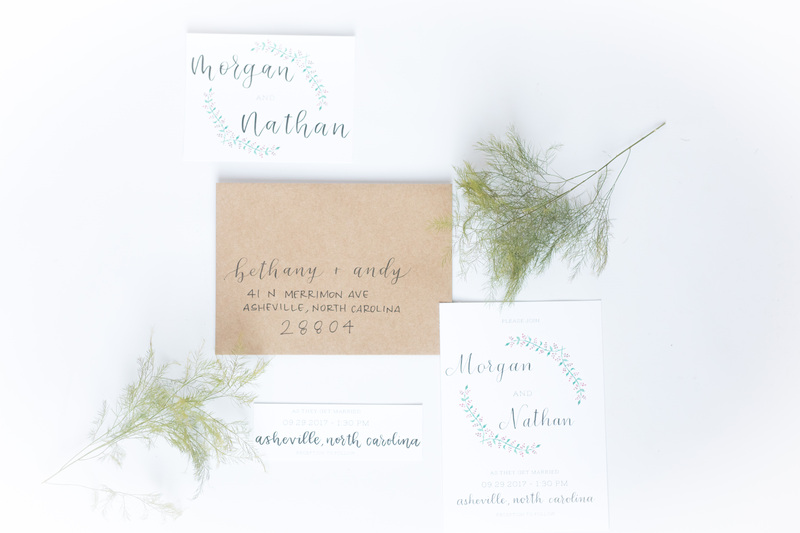 Announcement details were designed and lettered by me, Joy Unscripted! Morgan & Nathan trekked out to Max Patch (beautiful local Asheville hike) fully decked out in their wedding attire to take their anniversary photos… these images are STUNNING and we’ll be sharing them soon!